The forest is filled with all sorts of monsters. They watched and waited as you built your castle and trained your soldiers, but now they've gathered their army and are marching out of the woods. Can you work with your friends to defend your castle against the horde, or will the monsters tear down your walls and destroy the precious castle towers? You will all win or lose together, but in the end only one player will be declared the Master Slayer! 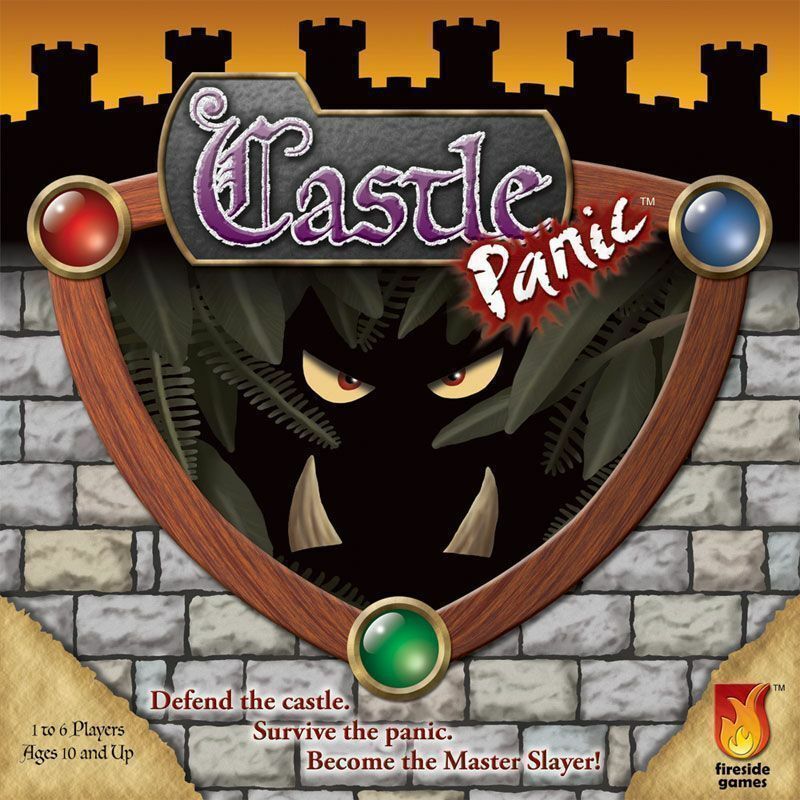 Castle Panic is a cooperative, light strategy game for 1 to 6 players ages 10 and up. Players must work together to defend their castle, in the center of the board, from monsters that attack out of the forest at the edges of the board. Players trade cards, hit and slay monsters, and plan strategies together to keep their castle towers intact. The players either win or lose together, but only the player with the most victory points is declared the Master Slayer. Players must balance the survival of the group with their own desire to win.